(Mike Krumboltz @ YahooNews) Politicians on both sides of the aisle like to talk about cutting costs in Washington. But few, if any, have ever come up with an idea as simple as the one recently proposed by 14-year-old student Suvir Mirchandani. Suvir's story was recently reported on CNN.com. The Pittsburgh-area student began his quest by trying to think of ways to save his school district a few bucks. After examining different handouts provided by teachers in different classes, he noticed that the fonts varied and some seemed to require a lot more ink than others. But that isn't all. Suvir reached out to the Journal of Emerging Investigators (JEI), "an open-access journal that publishes original research in the biological and physical sciences that is written by middle and high school students." Workers at the journal were reportedly impressed by Suvir's work and asked him to apply his findings to the entire United States government. Now we really hope he got extra credit. After tracking down what the government is estimated to spend on ink per year ($467 million), Suvir found that that Uncle Sam could save around $136 million per year by switching to Garamond exclusively. In addition, he found state governments that made the change could pull in $234 million in savings, according to CNN's report. So is the government going to make the switch? Gary Somerset, PR manager for the U.S. Government Printing Office, praised Suvir's works as "remarkable," according to CNN, but he also said the government is focusing its reduction efforts on getting things on the Web. Pro tip: If you do need to print it out, do yourself a favor and check font settings first. The printing-related expenditure that is budgeted in 2014 for U.S. Federal agencies is $1.8 billion. Even though printing expenditure has been decreasing in recent years, it continues to be high and a small percentage decrease in printing expenditure due to a font change could result in substantial monetary savings. A sample of five publically available documents produced by various federal agencies is analyzed and the cost savings arising from a change in font type are estimated. To make the comparison, fonts that were found to be efficient in a previous study and those recommended by the government are used. The results are then extrapolated to state and local governments. Assumptions are made based on public data to make these assessments. A sensitivity analysis is completed with respect to assumptions that have the most uncertainty. The analysis predicts that the Government’s annual savings by switching to Garamond are likely to be about $234 million with worst-case savings of $62 million and best-case savings of $394 million. Indirect benefits arising from a less detrimental impact on the environment due to lower ink production and disposal volumes are not included in these estimates. Times New Roman is not as efficient as Garamond, and the third federally-recommended font, Century Gothic, is actually worse on average than the fonts used in the sample documents. Copyright: © 2014 Mirchandani et al. All JEI articles are distributed under the attribution non-commercial, no derivative license (http://creativecommons.org/licenses/by-nc-nd/3.0/). This means that anyone is free to share, copy and distribute an unaltered article for non-commercial purposes provided the original author and source are credited. A previous study, “The effect of font type on a school’s ink cost,” (herein called “The School Study”) concluded that a savings of 24%, or $21,000 annually, could be brought about simply by teachers in the school district switching to a more efficient font – namely, Garamond (1, Footnote 1). Besides lower costs, the study pointed out that lower ink consumption would reduce environmental damage. The substantial savings estimated in the previous study opened the question of whether comparable savings can be brought about at the U.S. Federal Government level as a result of a similar switch. According to the Office of Management and Budget, the printing-related expenditure budgeted in 2014 for the federal agencies is $1.8 billion (2). This figure has been decreasing over the years; however, the figure continues to be high and even a small percentage decrease in printing expenditure due to a font change can result in meaningful monetary savings (assuming that every individual in every government agency currently does not use the most efficient fonts). Regardless of the actual amount, a decrease in printing expenditure would help in lowering the burgeoning federal deficit without having any adverse effects. A 2013 study by the Government Accountability Office states, “Federal agencies publish thousands of items such as reports, regulatory decisions, consumer information and other types of documents that are of interest to the public.” (3) While federal law requires that the Government Printing Office (GPO) undertake all federal printing, exceptions are made and some agencies have internal printing plants. Furthermore, federal printing is sometimes outsourced (4). The use of multiple printing options at federal agencies and the diversity of needs at the various federal agencies make computing the savings due to a font change a formidable task. Moreover, unlike in The School Study, limited, if any, access to the agencies was available. Internal documents and memos used within the government agencies were not available for analysis. In addition, valuable printing data could not be obtained despite multiple requests. Thus, a greater reliance had to be made on secondary data collection rather than primary data collection. Preliminary investigations led to a 2012 study by General Services Administration that estimated savings of $30 million by a switch in fonts to those that are more cost-efficient (5). This report recommended using Times New Roman, Garamond, and Century Gothic. A byproduct of our study is to verify whether this cost savings estimate is justifiable and to validate the recommendation of using the three fonts mentioned above. 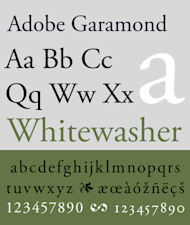 Our study estimates savings of $136 million per year if the U.S. Federal Government were to switch to Garamond. Adding the savings if the state governments were to also make similar changes, the estimated total savings top $234 million per year. Times New Roman is less efficient and Century Gothic actually leads to a worse outcome. To compute the savings, five PDF documents produced by five different U.S. government agencies were taken. Each sample consisted of five consecutive text pages from these five documents. Figure 1 describes the sample documents. Figure 1. Five documents from five federal agencies were selected. The documents were all recent. To analyze the impact of changing the font, a sample of five pages was taken from each document. The content in these samples was replicated to produce comparison documents in the test fonts (Garamond, Times New Roman and Century Gothic). The font in each sample was changed to Garamond, Times New Roman, and Century Gothic while keeping the original font size invariant. These three fonts were chosen because a federal report had previously recommended their use in government documents (5). Also, The School Study had identified Garamond and Times New Roman to be efficient fonts, but it was felt that it would be useful to check whether these fonts continue to be efficient in the government context. In some documents, the headings and the body text were in two different fonts. They were both changed to the test fonts. For illustrative purposes, Figure 2 shows the first paragraph from Sample 5 (Liberty and Security in a Changing World, page 183) in the original font as well as the three test fonts. The images from the PDF documents have been resized by almost half in the same aspect ratio. Figure 2. A sample paragraph in the original font with the three test fonts. No change was made in the font size. The fact that the fonts require different amounts of ink to convey the same content is visually apparent. This difference was analyzed quantitatively in the study to determine the cost savings. The coverage (percentage of a sheet covered by ink) was computed and the change in coverage between the original font and the three test fonts was then determined. The summary results from this analysis are given in Figures 3 and 4. Figure 3. The percentage savings if a font switch is made. Columns 2-5 contain the coverage percent for the five pages in each of the five sample documents for the original and test fonts. The percent savings are given in columns 6 through 8. 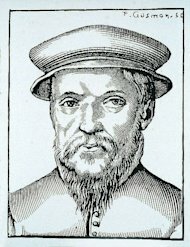 Garamond was consistently better than the original font. Times New Roman was better on average. Century Gothic was better than the font used in the budget document, but was otherwise worse. Figure 4. A comparison of the estimated savings by switching from the original font to the three federally-recommended fonts. Based on these results, the savings are estimated to be 29.24% if a switch to Garamond is made. According to the Office of Management and Budgeting, the “object class” printing and reproduction has a 2014 budgeted amount of $1.798 billion (2). This includes the printing-related obligations of US federal agencies: payments made to the GPO, payments made to external printers, and expenses for internal printing. A Government Services Administration study (6) had estimated the cost of ink (toner) to be 25.86% of the total cost of ownership of a printer (Footnote 2). Assuming this percentage, the estimated 2014 ink cost by the federal government is $467 million. A savings of 29.24% by switching to Garamond translates into an equivalent dollar amount of more than $136 million at the federal government level. The estimated total printing expenditure by all state and local governments taken together is $1.28 billion per year. This translates to a savings of $97 million with a font switch. Including the savings at the state and local levels leads to national savings of more than $136 + $97 = $234 million just by switching the font type to Garamond. For Times New Roman, the estimated savings are about a third of the above amount, and Century Gothic, the third recommended font in a federal study, actually uses more ink than the fonts used in most of the sample documents studied. The estimated savings in this study are based on some facts and some assumptions. Figure 5 summarizes these numbers, and also provides the source as well as the qualitative degree of confidence (high/medium) on the accuracy of these numbers. A sensitivity analysis, summarized in Figure 6, was then done for those numbers where the degree of confidence is medium. Figure 5.The additional information about the assumptions used in the computation of the savings in the ink cost due to a font switch. The entries in the second row, third column give the savings if a switch is made to Garamond (29.24%), Times New Roman (8.34), and Century Gothic (-6.74%). The third column provides the degree of confidence in the assumptions used for estimating the cost savings. Due to the limited sampling done in this study, the degree of confidence is the lowest in the estimate of the coverage. Therefore, a larger change is made on the lower end of this assumption in the sensitivity analysis. Figure 6. A sensitivity of the savings in the ink costs as the two assumptions with the lowest degree of confidence change. The blue column corresponds to the base assumption that the ink costs are 25.96% of the printing and reproduction costs. The yellow row (29.24%) corresponds the percentage coverage decrease of 29.24% by changing the font to Garamond found in the experimentation. Computing the national savings due to switching fonts is challenging and requires some assumptions. Indeed, just computing the total printing costs can be challenging. A report by the Government Accounting Office indicates that different government agencies define printing differently, which led to some difficulties in its efforts to collect data about volume and costs associated with internal printing plants (3). In such a situation, estimating savings is necessarily fraught with uncertainty. Some errors can affect the conclusions in this paper. First, ideally, a sample of pages from all documents published by the Federal (and state and local governments) should be taken. Once the savings from these representative pages has been determined, the savings should be weighted by how often these pages are printed. This approach was not possible because of the enormous number of internal and public documents that are printed. Following this approach could affect the magnitude of savings estimated in this study, but the directional impact would be the same. Another source of error is that only publically available documents were used in the study. Some of the government documents have artwork and photographs; such pages were not included in the study. Internal documents were also not used, and including them might change the percentage savings. While this study has ignored differences in the cost of printing between laser and inkjet printers and between desktop and network printers (see ref. 9), because this study considers percentage savings, the impact of this assumption on the bottom line should be minimal. Likewise, whether the printing is in color or monochrome has been ignored, but this again should not affect the coverage. Government agencies increasingly produce digitized, rather than hard copies, of the reports that are written. Even in such a situation, the choice of fonts can make a difference. Readers often print out the digitized reports and so an efficient font can reduce the ink usage. It was surprising that the average percent savings for the government study are higher than the percentage savings in The School Study. One possible reason for this finding is that the average document in The School Study had 19% underscores, for which the font type is not likely to affect the coverage. Also, 20% of the teachers in the school already used Times New Roman, a relatively efficient font. It should be mentioned that if the Government were to switch to Times New Roman, the savings would reduce by one third, but some may argue that this font is more “readable” than Garamond. Afterward, another interaction map can be constructed between these proteins and the drugs currently available on the market to inhibit them to find gaps in current drug development. Factors of importance pertaining to a protein, such as the number of PPIs and the percent of other diseases that display a mutation in that protein, can be used to create a heat map. A heat map is a visualization for a matrix that shows a correlation between a protein and a factor by color, with higher correlations depicted by using darker colors. Examples of heat maps are shown in Figures 2 and 3. A PPI map was created for pancreatic cancer proteins whose mutations lead to changes in protein pathways causing cancer (KEGG). Additional mutated proteins were found from the database Diseasome, which depicts gene-cancer interactions by mapping diseases to the genes whose differential expression are associated with the disease (13). The interaction map of 10 proteins from KEGG and Diseasome is shown in Figure 1. Additional data on how likely a protein is to be important in pancreatic tumor growth was collected through database and literature mining and condensed into the table shown in Figure 2 (11, 14-20). A heat map was created for the pancreatic cancer proteins based on various parameters outlined in the methods section and summarized in Figures 2, 3, and 4. The heat map was used to predict the likelihood that a protein was important in the pancreatic cancer pathway; proteins TP53, KRAS, and CDKN2A were determined to be proteins with a high degree of importance in their protein pathways. A corresponding heat map of existing FDA-approved drugs for these proteins and the effectiveness of the existing drugs was created from data collected from the Connectivity Maps (Cmaps) database (21). This map investigated the effectiveness of existing drugs for a protein. If a protein has a high degree of drug development, then further drug development is not needed as urgently for that protein. Each entry in the Cmaps database that states that a particular drug targets cells with a mutation in a certain protein has been designated a “protein-drug interaction.” Each such interaction is supported by a number of articles, and the number of protein-drug interactions per protein is mapped in Figure 4. The average number of evidential articles was also recorded for all drugs for a particular protein. How effectively or to what degree a drug targeted cells with a particular protein mutation is referred to in Cmaps and in this paper as the drug’s “association” with the protein. The completed, normalized table of these factors is shown in Figure 5, and the heat map is shown in Figure 6. According to the Bureau of Economic Analysis, National Income and Product Account Tables, as of December 20, 2013, the seasonally adjusted annual rate of federal expenditure was $3825.7 billion (8). At the state and local government level, the corresponding figure was $2,329.2 billion (8). Both these numbers include a $455.7 billion transfer from the Federal Government to the state and local governments. The net Federal Government expenditure is therefore $3825.7 – $455.7 = $3270 billion. Assuming that the ratio of the amount of expenditure on printing to the total expenditure at the state and local levels is the same as at the federal level, the printing costs at the state and local levels turn out to be $1.28 billion. It was assumed that ink costs are 25.96% of the printing and reproduction costs. This was based on GSA data. This data was further validated as follows: A report (9) prepared by Sandia National Laboratories indicates that the cost of ink per page for desktop printing is between $0.06 and $0.07. This report cites a study by Quality Logic where the cost of ink per page for black and white printing ranges from $0.023 to $0.095 with an average of $0.067 (Footnote 3). A Xerox® report (10) places the cost of black and white printing to be between $0.009 and $0.023 per page depending on the printer. Since paper is readily available at $0.01 per sheet, ink costs more than paper. Assuming that purchase, maintenance, and overhead cost about 50%, the 26% assumption seems conservative, reasonable, and justifiable. Regardless, sensitivity analysis varies this estimate between 20% and 32%. To conduct the sensitivity analysis, the estimated decrease in the percent coverage was varied from 10% to 40% with a base of 29.24%. The lowest percent coverage decrease observed in the sample was 20% for Garamond, and it was further halved to 10% to be conservative (this is also about the average percent decrease if a shift is made to Times New Roman). The upper end of 40% was chosen to match the highest percent coverage decrease observed in the sample. There is greater confidence in how much ink costs relative to the total printing and reproduction costs (25.96%). Therefore, the range was not varied as much in the sensitivity analysis. At the lower end, 20% was chosen simply by rounding down from 25.96 and a symmetrical change was made to get the upper limit of 32%. The following software packages were used in this study. Adobe Acrobat Pro XI® (Macintosh version) was used to convert font type of the downloaded PDF files into the test fonts. The font size and style (italics or bold) were not changed. A GPO stamp saying “Authentication of US Government Information” was deleted from the top left corner of page 78802 of Sample 3. Acrobat was also used to convert the PDF files into images. This resulted in 100 pages of images total: five pages of the five sample documents in each of the four font types. The size of the original font was kept the same. APVSoft APFill® Ink Coverage Software (version 5.8) was used to compute the coverage from the each page of the image files. The difference in the coverages of the test font and the original font divided by the coverage of the original font gave the percent savings for switching to that test font. Microsoft Excel® was used to record and manipulate data. I am grateful to the editorial team of the Journal of Emerging Investigators for suggesting that I extend the previous study to the federal government. I also appreciate their encouragement and prompt feedback. I would also like to thank Mr. Pinko, science teacher at Dorseyville Middle School, Pittsburgh, PA, for his help in conducting The School Study on ink savings, and for encouraging me to take part in science and engineering fairs. 1. Ink and toner are used synonymously in this study. Even though traditional ink is more expensive than toner, a focus on determining the percent savings in cost rather than the magnitude of the cost obviates this difference. 2. The 2012 GSA report (6) estimates the cost of the ink to be about 2.2 times the “sticker” price of the hardware. Another GSA report (7) estimates the ink costs to be higher at 2.8 times the price of the hardware. In addition, this report estimates that about $580 million worth of toner is bought outside of the Federal Procurement Data System. While this additional fact is not included in this study, if this were true, it would roughly double the savings estimated in this study. The newer report, which is more conservative regarding the relative cost of ink, is used in this study. 3. The Sandia National Laboratory reports network printing costs less than $0.001 per page. This figure could not be validated. 1. Mirchandani, Suvir, and Peter Pinko. “The Effect of Font Type on a School’s Ink Cost.” Journal of Emerging Investigators May 2013. Web. 20 Jan. 2014. 2. “Object Class Analysis: Budget of the U.S. Government.” Office of Management and Budget. The White House, 2013. Web. 20 Jan. 2014. <http://www.gpo.gov/fdsys/pkg/BUDGET-2014-OBJCLASS/pdf/BUDGET-2014-OBJCLASS.pdf>. 3. “Report to the Joint Committee on Printing, United States Congress. Federal Printing.” U.S. Government Accountability Office, 2013. Web. 20 Jan. 2014. <http://www.gao.gov/assets/660/655936.pdf>. 4. “Procurement Vehicles.” U.S. Government Printing Office. Web. 20 Jan. 2014. <http://www.gpo.gov/customers/vehicles.htm>. 5. “Print Management FAQs.” Strategic Sourcing Metrics. General Services Administration. Web. 20 Jan. 2014. <https://strategicsourcing.gov/print-management-faqs>. 6. Parker, Meredith, and Ben Williams. “FSSI: Overview on the New Print Management Program.” GSA Training and Expo 2014. General Services Administration, 17 May 2012. Web. 20 Jan. 2014. <http://expo.gsa.gov/sites/default/files/training_presentations/FSSI%20Overview%20of%20New%20Print%20Management%20Program.pptx>. 7. “The Federal Strategic Sourcing Initiative (FSSI): Introduction to FSSI Draft.” Strategic Sourcing Metrics. General Services Administration, 01 July 2010. Web. 20 Jan. 2014. <https://strategicsourcing.gov/sites/default/files/portal_ss_introduction_for_senate_budget_staffers_gsa_fssi_pmo_070110.pdf>. 8. “National Income and Product Accounts Tables.” U.S. Bureau of Economic Analysis. U.S. Department of Commerce. Web. 20 Jan. 2014. <http://www.bea.gov/iTable/iTable.cfm?ReqID=9>. 9. “Printing Case Study.” United States Environmental Protection Agency. Sandia National Laboratories, U.S. Department of Energy, 13 Oct. 2010. Web. 20 Jan. 2014. <http://www2.epa.gov/sites/production/files/documents/doe_snl_desktop_printers_0.pdf>. 10. “Xerox® Office Printers: Print Costs.” Xerox, Sept. 2013. Web. 20 Jan. 2014. <http://www.office.xerox.com/latest/OPBFS-13>.